November 21st 1920 will be forever remembered in Dublin as Bloody Sunday. 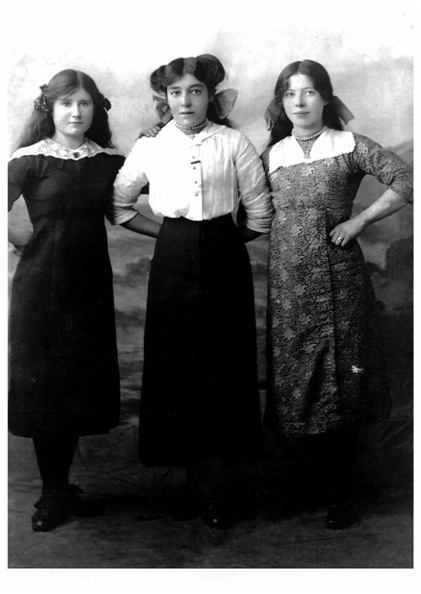 The events of that day were to lead to 31 deaths in the City, and are amongst the most notorious incidents of the era. In a co-ordinated series of early morning attacks the I.R.A. targeted a number of individuals attached to British Military intelligence operations, shooting dead 14 men. 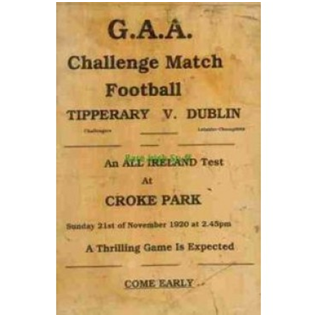 Later that day, in a retaliatory attack, British forces opened fire on the crowd at a football match in Croke Park, resulting in 14 deaths – one player, Michael Hogan, and 13 supporters. Three prisoners, unconnected with that day’s events, were afterwards shot dead in the guardroom at Dublin Castle, with a claim they had attempted to escape later discredited. Two were IRA members, while one was an unfortunate civilian caught up in a British army round-up. 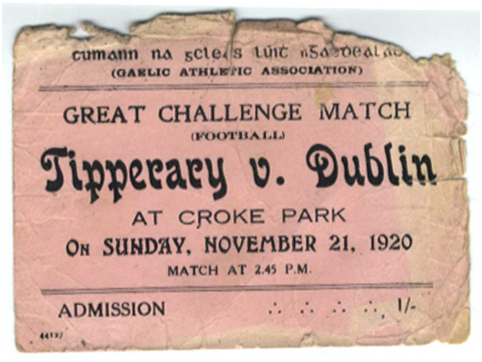 The match in Croke Park that tragic Sunday was a challenge match between Dublin and Tipperary. 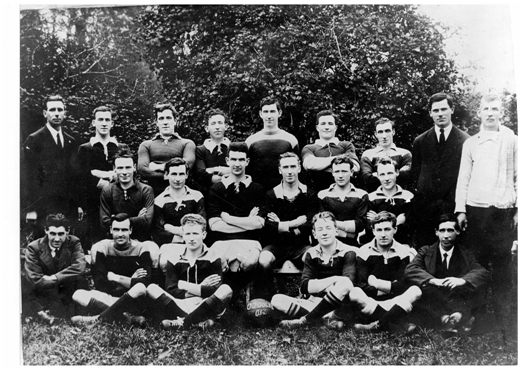 The Dublin team featured a large number of players from the Laurence O’Toole team, based in Seville Place, which would have been our local team. This included “Stonewall” Jack O’Reilly, from number 2 Mayor Street. His sweet-heart (and future wife) Brigid Smith was a spectator, and was also caught up in the attack. 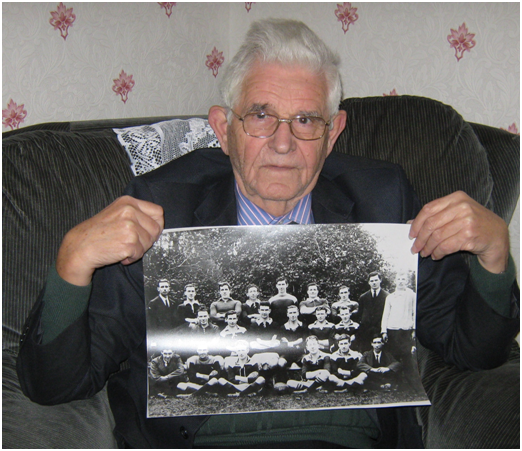 The East Wall History group recently had the privilege of talking to their son, Jack O’Reilly who still lives in the family home in Mayor Street. 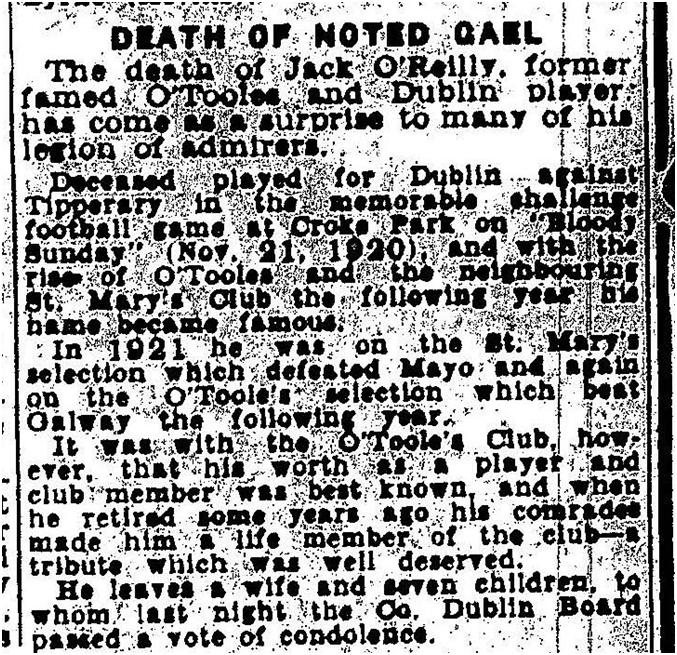 Jack told us about his parents experience on the day, other incidents that occurred during this period and also about his father’s legendary football career and others on the great Laurence O’Tooles team of this era. 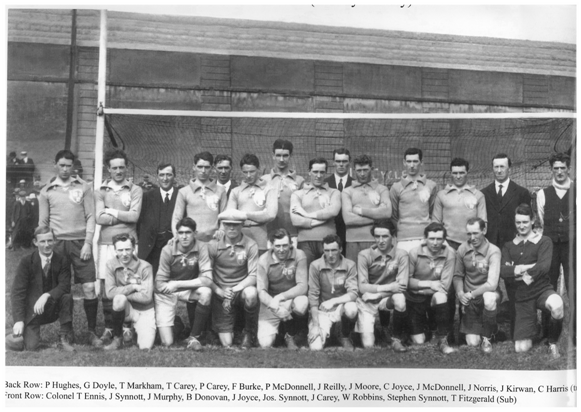 Having discussed these incidents that occurred during the revolutionary period, Jack spoke at length about his father’s football career, his All Ireland successes, his nick name and how the boys of the family didn’t follow in his footsteps. Jack recalled his school days, where his teacher was Frank Cahill, a name synonymous with St. Laurence O’Tooles and the G.A.A. 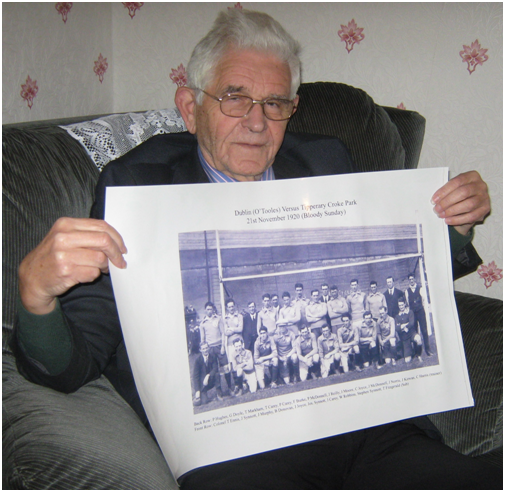 In his chat with the East Wall History Group, Jack also covered a number of other topics about his family and the local community. This includes his own working days , the value of education, the transport of lifestock through the street, travelling across on the Liffey Ferry and the memorable occasion when Gene Autry arrived in Dublin via North Wall and Mrs Bellew became the proud owner of a piece of his horses tail ! These are all stories for a future article. 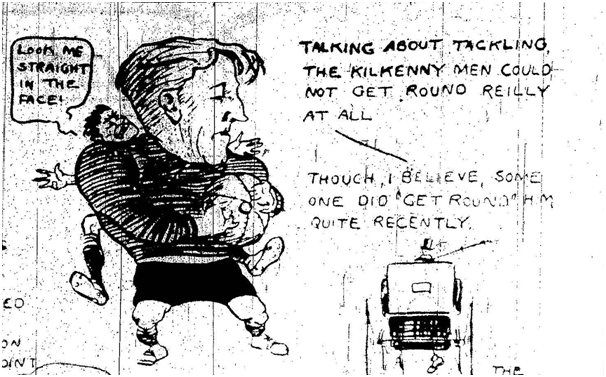 We will end with this wonderful newspaper clipping from 7th November 1922 (almost two years after Bloody Sunday) which captures the legend that was “Stonewall” Jack O’Reilly, shortly after his marriage to Brigid.